20 Mensho ni Onegai!! started serializing around the same time as RG Veda, right? Ohkawa: Right. After we had published the first RG Veda chapter we were invited by Kadokawa-san to write a short series. Why did you call it what you did? Did you decide from the beginning for the series to be a romance? Going against your expectations, it became more and more of a love story? Ohkawa: Yes. *laughs* Akira stopped being a thief after Utako showed up. Was it because of Utako’s power? Ohkawa: I guess so. After Utako’s episode the story’s direction changed completely. The focus on love kept increasing– I remember becoming more and more devoted to that theme with every chapter I wrote. Igarashi: Utako is amongst the oldest of our characters. She already existed when we created, back during our doujinshi days, the CLAMP Campus setting. She was a kindergartner, so we transferred her just as she was, into the CLAMP Kindergarten section. Mokona: Except that she used to be more violent. She’d hit people with xylophone drum-sticks and stuff like that. *laughs* Considering that Akira was created for 20 Mensho, he’s younger than Utako is. Akira and Utako are both fairly young; what reason do you have for that? Ohkawa: I love cheeky elementary school kids, and I love writing about them. Children are not nearly as childish as adults imagine them to be, they think of fairly complex things. Then there’s the fact that if the character is a child, the story’s mood becomes lighter. For example, if a high school or college student were doing the housework in place of his two mothers… that’s a bit depressing. *laughs* But with a child, practically speaking, you can read it as fantasy. It must have been difficult to come up with the twists in the stories where Akira acts as a thief. Igarashi: Like when he caught the cook (Vol. 1 Event 6: Cooking Heaven)? Nekoi: No, when he stole the bowl (Vol. 2 Event 7: Father’s Present). At this point the story was in danger of being nothing more than a romance without any thievery at all, so we were determined to have him steal something. Ohkawa: I don’t remember. *laughs* I must have worried about how to have him steal in endearing, non-serious ways. Were there any challenges in the drawing process? Igarashi: The manuscript pages were so large that they were difficult to use, due to the conversions. 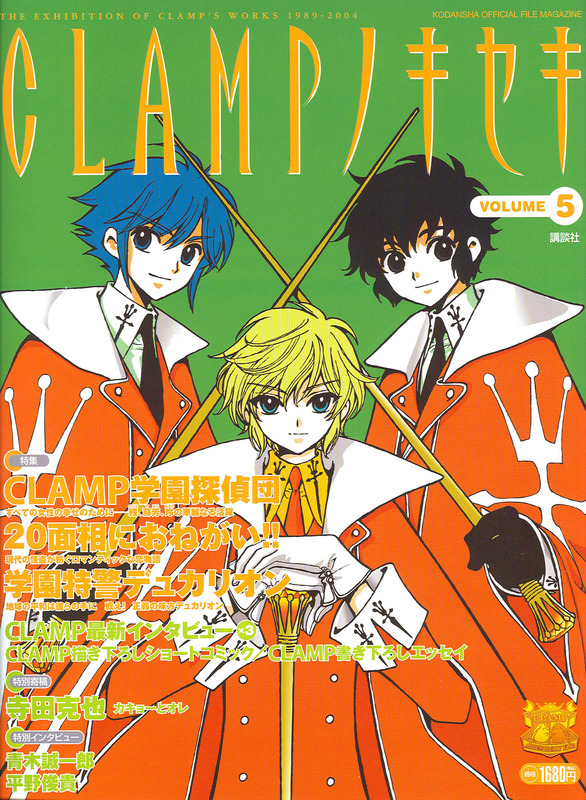 Comic Genki-su, the magazine the series was serialized in, was of a fairly small size, but the manuscript paper was much larger, about the size of Newtype. It was so large that sometimes we didn’t have enough screen-tone. Nekoi: With the letter-tone available at the time, just when we thought we’d go and stick on the tone for the opening, we’d find out that we didn’t have enough for even one page. We’d go buy the big-sized tone, only to realize that there wasn’t enough for two pages. *laughs* It was very difficult. Did you ever find yourselves being pulled towards the mood of the other series you were publishing simultaneously, RG Veda? How about things you’re glad about, that you had fun with? Ohkawa: The Drama CD, I guess? We managed to release two, so I’m really happy with how much we accomplished. I remember that Yoyogi-san from Victor Entertainment purposefully arranged a reading session with Yamaguchi Kappei-san (Akira’s voice actor) and Honda Chieko-san (Utako’s voice actress) before the recording. That was very considerate of him. Ohkawa: Yes, he dedicated a lot of time to this project. There were also a lot of good songs. I still listen to that CD occasionally. Interview originally published in CLAMP No Kiseki vol. 5 (Kodansha), released on January 21, 2005.